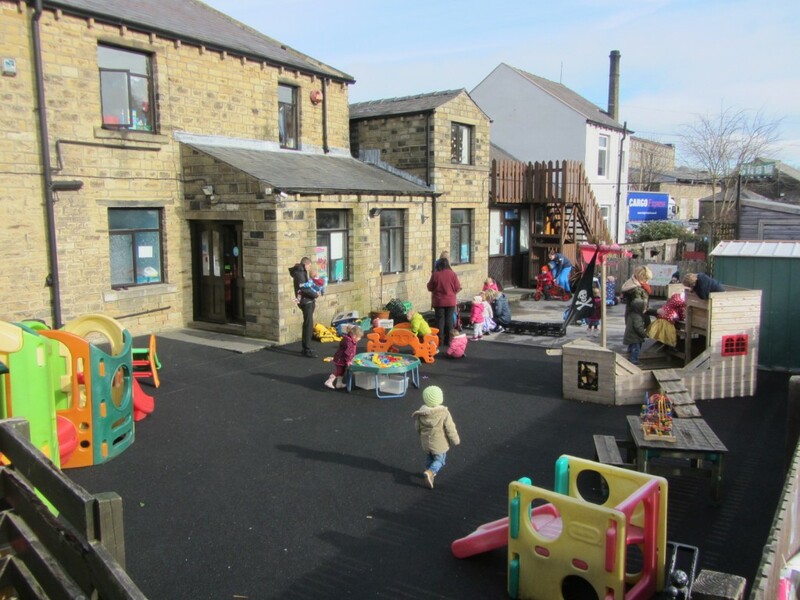 The outdoor surfaces include a large soft play area for climbing equipment and slides, a hard surface area for trikes and bikes, tractors and prams and a Sensory Garden for the children to help plant vegetables and seeds and also for the children to explore. 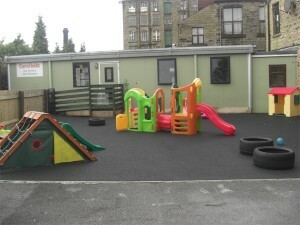 Large play area – this consists of a soft play area to reduce the possibility of bumps and bruises and a hard surface play area suitable for riding bikes and scooters or pushing prams, but can also be used for floor activities with the use of mats and cushions. There are two play houses, a climbing frame and a slide for older babies. 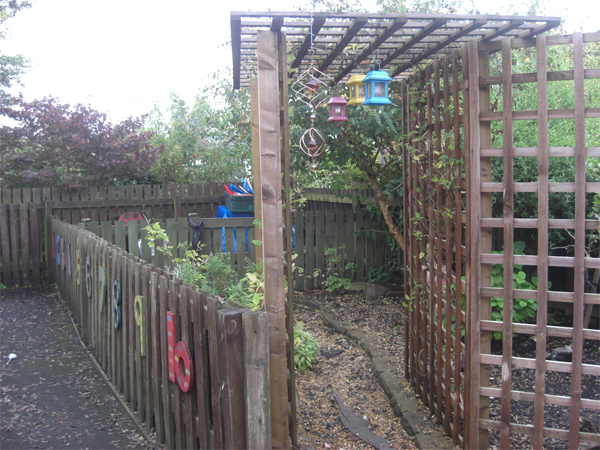 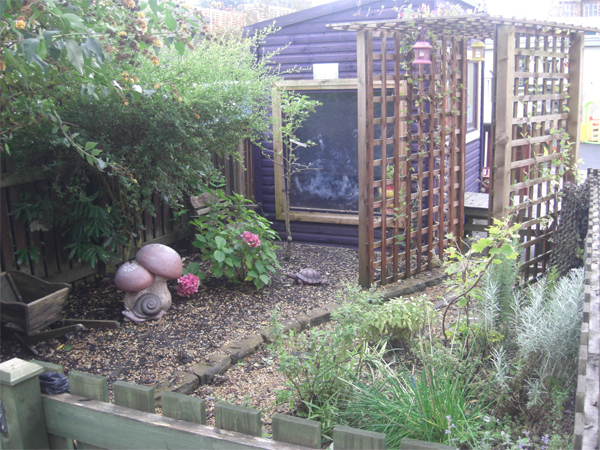 Sensory Garden – this is next to the activity area where the children can explore using their sense of touch, smell and sight. 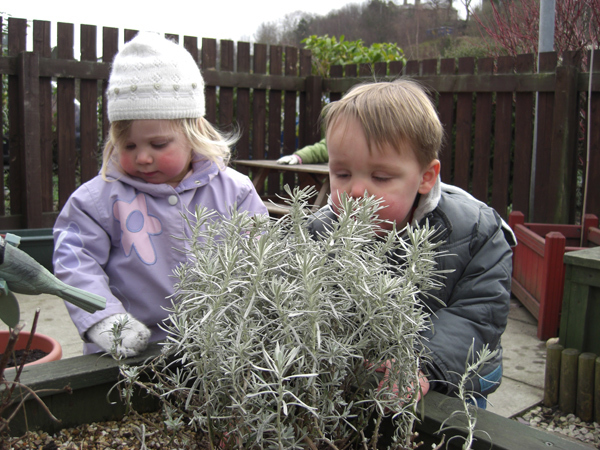 The children can all take turns to add to the garden, then enjoy getting involved in planting seeds and watching them grow. They also enjoy messy activities like digging up the soil to find worms or spiders, and to make mud baths and pies! 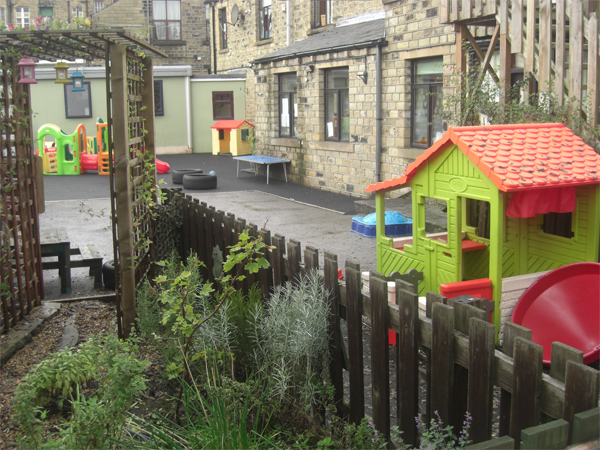 Our sensory garden is next to the activity area where the children can come and explore, using their sense of touch, smell and sight. The children all take turns to add to the garden, they enjoy getting involved in planting seeds and watching them grow. 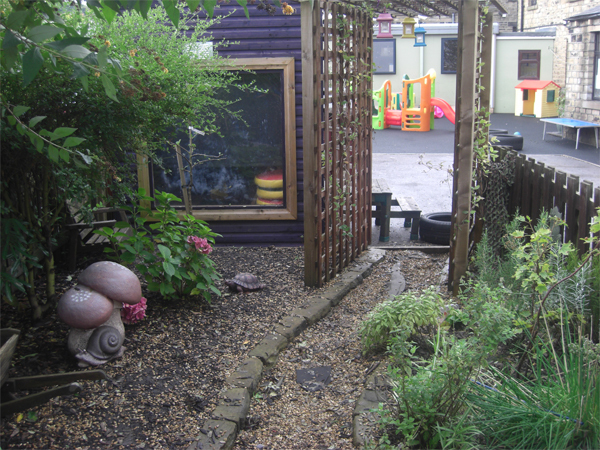 The children also enjoy becoming messy within this area through digging up soil to find worms or spiders and to make mud baths and pies! 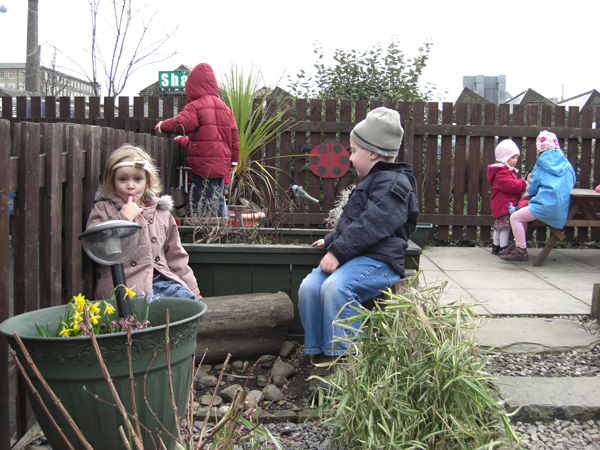 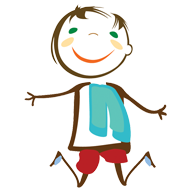 The children access the outdoors as much as possible, even in the winter weathers. 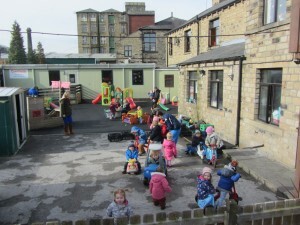 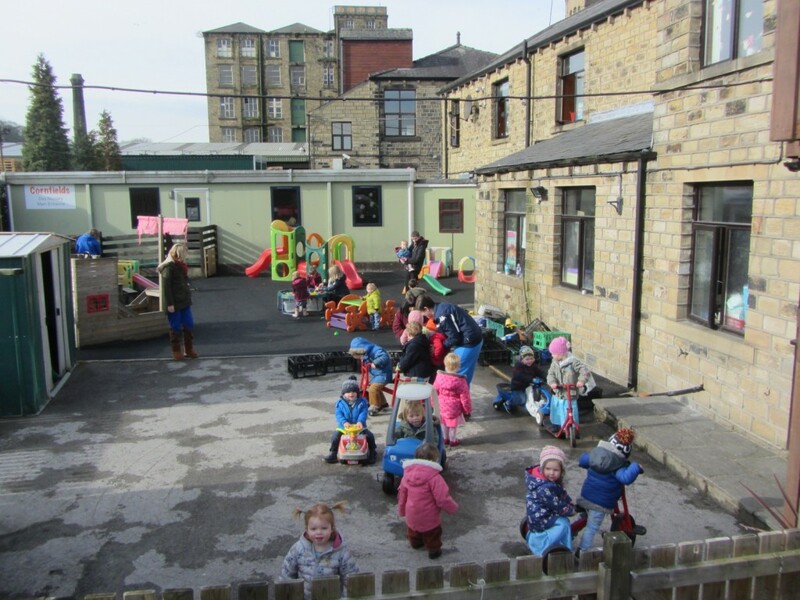 Waterproofs are provided within the setting and the children really enjoy exploring their outdoor environment.